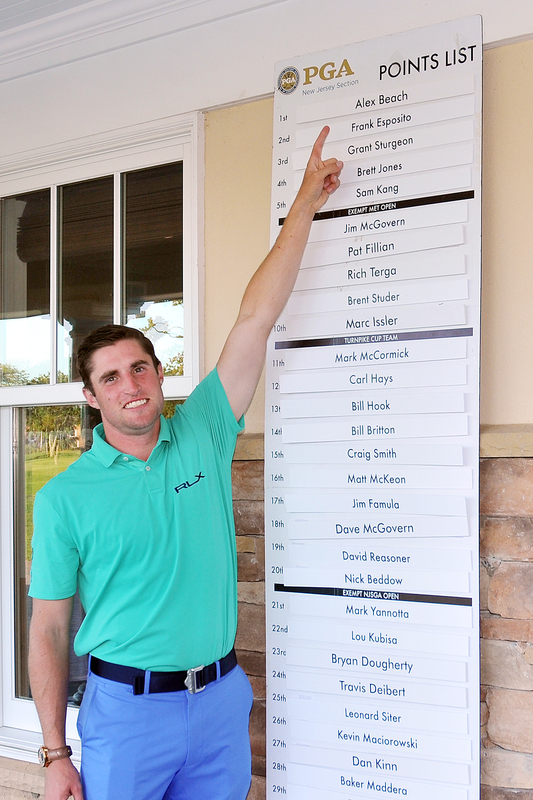 Alex Beach of Baltusrol Golf Club capped a season that included his first appearance at the PGA Championship by earning his second consecutive OMEGA Player of the Year. Beach, 28, jumped into the top position following his second straight victory at the New Jersey PGA Championship at Mountain Ridge September 12-14. Beach edged Fall Finale winner Frank Esposito of Forsgate Country Club by 120 points for top honors. The four Section majors winners this year were The Ridgewood Country Club’s David Reasoner at the Greg Norman Match Play Championship, Grant Sturgeon of Arcola Country Club at the Lincoln Charity Clambake, Alex Beach at the Section Championship, and Esposito at the Fall Finale. The top 32 Section Professionals on the points list automatically qualify for the Match Play Championship next season. The top 20 will also be exempt into the NJSGA State Open and the top 5 are exempt for the Met Open. The top 10 points finishers and the top two senior finishers in both Player of the Year races have also earned a spot into the Turnpike Cup at Arcola October 25. This event is contested against the top Philadelphia and New Jersey Section Professionals in a Ryder Cup format. Frank Esposito, 54, of Forsgate, won his second OMEGA Senior Player of the Year. It’s the first time he has earned these honors since 2014. Esposito’s season highlighted a victory at the NJPGA/NJSGA Senior Open at Navesink Country Club in May, where he defeated Greg Baker of Rockaway River Country Club in a playoff. 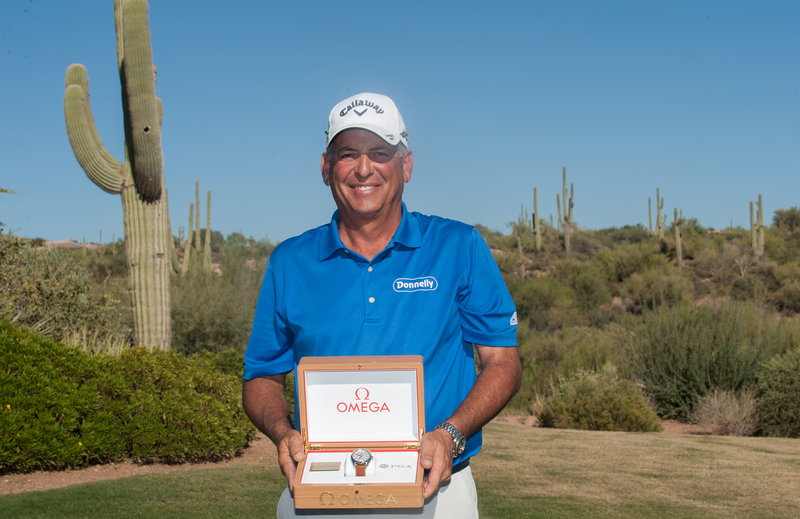 In September, Esposito fell in the Senior Match Play Championship final at Cherry Valley Country Club to Jim McGovern of White Beeches Golf and Country Club, but won his second Senior PGA Professional Championship two weeks later at Desert Mountain. With that national victory, Esposito earned himself a spot into the 2018 Senior PGA Championship and the final stage of Champions Tour qualifying school. During the season, Esposito was a finalist at the Greg Norman Match Play Championship at Morris County Golf Club in May, and closed his season with a victory at the Fall Finale at Spring Lake Golf Club in October. Bill Britton of Trump National Golf Club, Colts Neck, finished second in the Senior Player of the Year race and had a pair of victories at the New Jersey PGA Senior Championship at Suburban Golf Club and a win at the Met Senior Open at Forsgate Country Club.